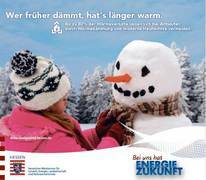 Media Campaign: The earlier you insulate, the longer you'll stay warm - Up to 80% of the heat loss in older buildings can be avoided with thermal insulation and modern heating. 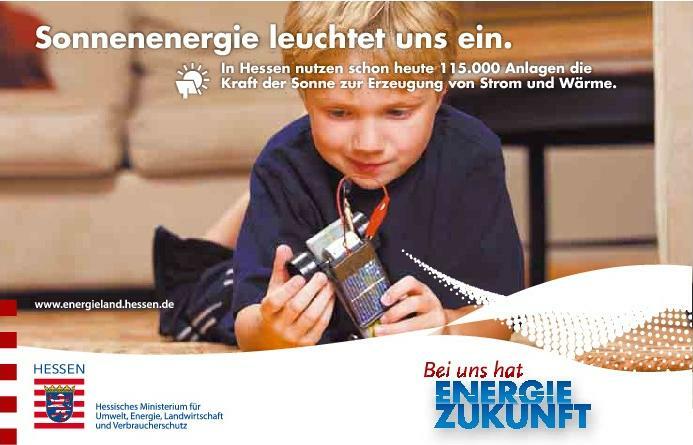 Media Campaign: Solar energy lights us up - In Hesse, 115,000 units are already using the power of the sun to generate power and heat. Whereas as recently as 2010, the conservative State of Hessen was only willing to commit to 20% renewable heat and power by 2020, climate change and the nuclear disaster in Fukushima have demanded a change in energy policy - away from fossil and nuclear power towards renewable energy and more energy efficiency. In January 2012, Hessen Environment Minister Lucia Puttrich presented results of the “Energy Summit,” which addressed how to implement the goal of achieving 100% renewable electricity and heat by 2050 for Hessen's just over six million inhabitants, including the state's biggest city, Frankfurt. To achieve this aim, the State of Hessen decided that it is essential to increase the energy efficiency and to restructure the existing energy system from a central to a decentralized one with smaller, more flexible power plant units. At the same time, the energy network will be expanded and adapted to meet the new requirements. The state government is well aware that the implementation of the energy transition will be possible only with the support and active participation of the private households, municipalities and businesses. The government has developed concepts to support all participants of the energy transition with tailored investing, non-investment projects, comprehensive information and counseling services, and legislative initiatives at the federal level. For projects to be started in 2012, the state government has a budget of 80 million euros. 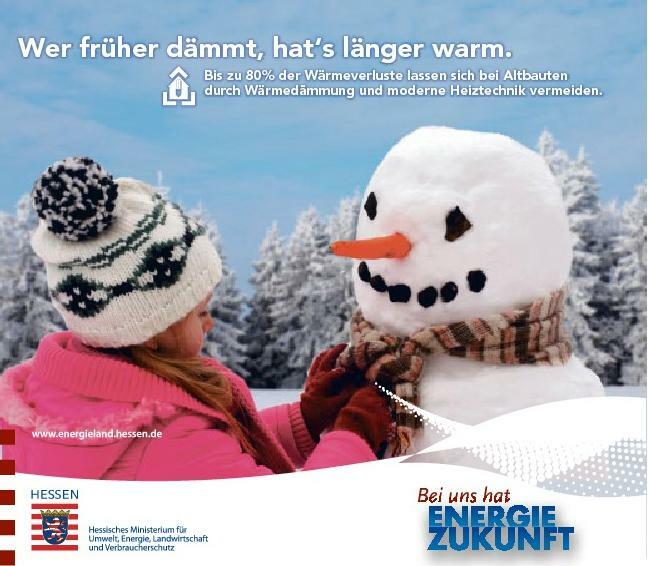 More information about “The Energy State of Hessen” provided by the State government. (here in German).